Given the assignment to create an exhibit poster for a made up show inspired by a typeface. I chose Avenir as my typeface, and based my show on some of Avenir's key components. Frutiger designed Avenir in 1998 to be a typeface for the future, as the name (meaning 'future' in French) suggests. He added a touch of organic humanism to his type design, free from the rigid geometric overtones that earlier typefaces used. Thus, I created an event that highlighted this 'human touch' that Avenir had. 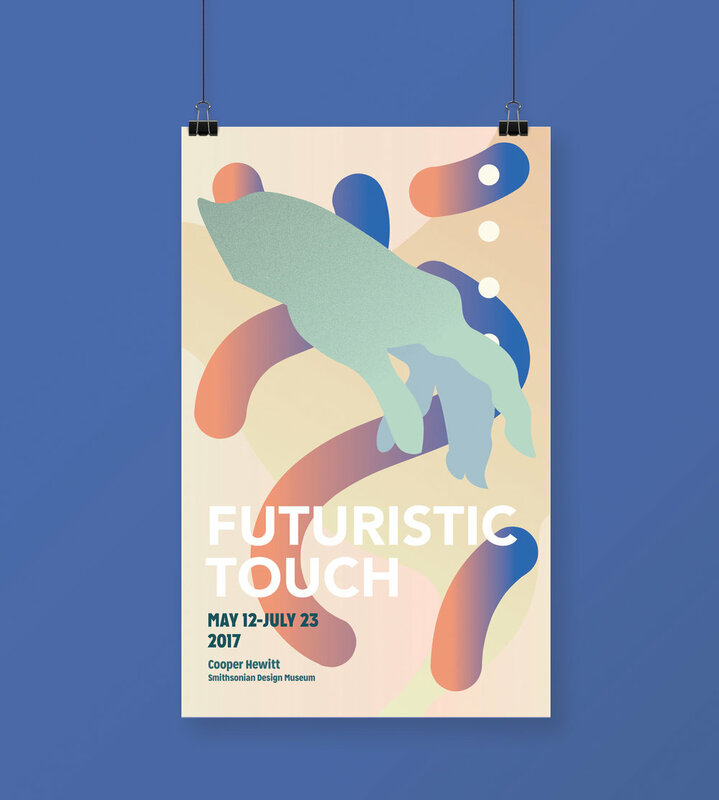 I used highly stylized vector graphics and a few geometric shapes to represent that Avenir was not completely different than it's predecessors, but added more organic curves and a literal "human touch" to the posters paired with futuristic gradients and colors to advertise the event.